There is a wide variety of commercially produced vinegars available. Flavored vinegars can be produced at home, with a few basic ingredients. Vinegars garnished with sprigs of herbs or a layer of berries adds extra flavor and excitement to dishes. Vinegars are easy and safe to make at home, provided a few simple precautions are followed. As long as clean and high-quality ingredients are used, the greatest concern with homemade flavored vinegars should be the development of mold or yeast. If your flavored vinegar starts to mold at any time, or to show signs of fermentation (bubbling), cloudiness or sliminess, discard the product and do not use it. Some harmful bacteria may survive and even slowly multiply in vinegars. It is important to follow all directions carefully. Sanitize work surfaces and utensils before use in preparing vinegars. 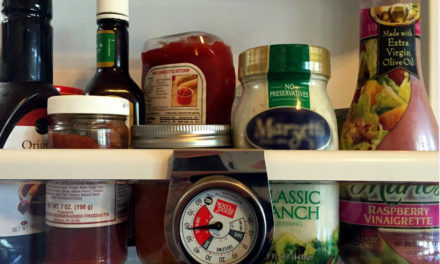 Store flavored vinegars in the refrigerator or a cool place and be sure to check for contamination before use. Also, be sure your hands are very clean while you work! CAUTION: Unlike vinegar, OILs flavored with herbs or garlic may allow the growth of the disease-causing pathogen, Clostridium botulinum. This bacterium produces a potentially deadly toxin in low acid, oxygen-free environments. In 1991, the Food and Drug Administration mandated the addition of an acid to all commercial garlic-in-oil preparations as a safeguard. This addition of acid was considered virtually impossible to do in a home or restaurant kitchen. However, research conducted at the University of Idaho and published in 2014 has proven a safe method for infusing oils with home acidified garlic, basil, oregano, or rosemary. 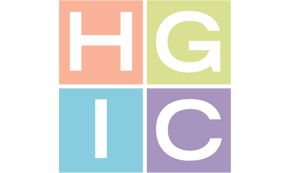 For more information, see HGIC 3471 Herb Infused Oils. Without acidification, oils may be flavored with herbs or garlic if made for fresh use, stored in the refrigerator, and used within two to three days. Discard if left at room temperature for over two hours. There are no canning recommendations. Ingredients must be washed well and dried completely before storing in the oil. The very best sanitation and personal hygiene practices must be used. Containers come in all shapes and sizes. There are a few essential details to look for when choosing a container to store vinegar. Containers: Glass containers are recommended for flavored vinegars. Glass jars or bottles that are free of cracks or nicks with sealable corks, screw-band caps, or two-piece canning lids are a good choice. Wash containers thoroughly in warm, soapy water and rinse well (a good bottlebrush works great for narrow containers). Then sterilize the clean, warm jars or bottles by completely immersing them in water and boiling for 10 minutes. Prepare the sterilizing bath before you wash the jars, or keep the clean jars in warm water until you are ready to immerse them in the boiling water. The best way to prevent breakage while sterilizing jars is to use a deep pot with a rack in the bottom, such as a boiling water canner. Fill the canner or pot at least half full with warm water. Place the empty, warm jars or bottles upright on the rack and make sure the water level is 1 to 2 inches above the tops of the jars. Bring the water to a boil, and continue boiling for 10 minutes. The jars should stay beneath the boiling water the entire time. After 10 minutes of boiling, remove the jars or bottles from the water and invert on a clean towel. Use canning jar lifters or tongs that grip the containers without slipping. Fill the jars with prepared vinegar while they are still warm. Bottom racks used in deep pots allow for easy jar, bottle, and lid sterilization. Tongs and jar lifters provide safe access to jars, bottles, and lids once sterilization is complete. When handling hot items, allow adequate cooling time to prevent potential burn to the skin or use proper PPE (Personal Protection Equipment). Oven mitts work nicely. Lids & Caps: If using screw caps, wash in hot soapy water, rinse, and scald in boiling water. To scald, follow manufacturer’s directions, or place caps in a saucepan of warm water, heat to just below boiling, and then remove from the heat source. Leave caps in the hot water until ready to use. Use non-corrodible metal or plastic screw caps. If using corks, select new, pre-sterilized corks. Use tongs to dip corks in and out of boiling water three to four times. Prepare two-piece metal home canning jar lids according to manufacturer’s directions for canning. If using these lids, allow enough headspace between the lid and the vinegar to prevent contact between them. Plastic storage screw caps that are made for canning jars are also a good choice for flavored vinegars. Herbs: Use three to four sprigs per pint (2 cups) of vinegar. For best flavor, use fresh herbs picked before blossoming. It is ideal to pick fresh herbs soon after the morning dew has dried. Use only the healthiest leaves or stems, discarding discolored, nibbled, crushed, or dried-out pieces of plant material. Wash the fresh herbs gently, but thoroughly. Blot dry on clean paper towels. Fresh herbs from the garden, or bought from a store, are ideal for flavored vinegars. Sanitize all fresh herbs before use when making an infused oil or flavored vinegar. After herbs are washed and dried, dip them in a sanitizing bleach solution of 1 teaspoon of house-hold chlorine bleach in 6 cups of water. Rinse thoroughly under cold water and pat dry with clean paper towels. Dried herbs may be substituted if necessary; allow 3 tablespoons of dried herbs per pint of vinegar. Fruits, Vegetables & Spices: Common fruits for flavoring vinegars include: raspberries, blackberries, strawberries, peaches, pears, and the peel of lemons and oranges. They may be combined with herbs or spices such as mint or cinnamon. Other popular flavorings include peeled garlic cloves, jalapeno or other peppers, green onions, peppercorns, or mustard seed. Fresh or frozen fruits are an option when preparing flavored vinegars. Thoroughly wash all fruits and vegetables with potable water; peel if necessary before use. 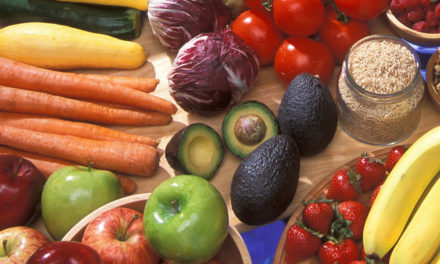 Small fruits and vegetables may be left whole or halved. Larger ones, such as peaches, may need to be sliced or cubed. Allow 1 to 2 cups of fruit per pint of vinegar, or the peel of one orange or lemon per pint of vinegar. Thread garlic cloves, peppers, and chunks of firm fruit onto clean, thin bamboo skewers for easy insertion and removal from jars or bottles. Seeds and fruit cores may require removal prior to course chopping. Food processors allow for easy puree of fruit, if straining the juice for flavoring. Vinegar: Several types of vinegar may be used, but not all give the same results. Distilled white vinegar is clear in color and has a sharp acidic taste by itself. It is the best choice for delicately flavored herbs. Apple cider vinegar has a milder taste than distilled white vinegar, but the amber color may not be desirable. Apple cider vinegar blends well with other fruits. Wine and champagne vinegars are generally more expensive than distilled and cider vinegars, but are more delicate in flavor. White wine and champagne vinegars work well with delicate herbs and lighter-flavored fruits. Red wine vinegars work well with spices and strong herbs like rosemary, but will mask the flavor of most herbs. Rice vinegar is a mild, slightly sweet vinegar used occasionally for flavoring. Be aware that wine and rice vinegars contain some protein that provides a favorable medium for bacterial growth, if not handled and stored properly. For added safety, use only commercially produced wine or rice vinegars. Balsamic vinegars are robust and bold, with a tendency to mask the flavor of fruits or herbs. Balsamic vinegars are often aged for flavor and taste; use commercially produced balsamic vinegars for safety. When flavoring vinegars, pairing the base vinegar with specific herbs, vegetables, fruits, or spices allows for full flavored combinations. Place the prepared herbs, fruits, vegetables, and/or spices into the pre-sterilized containers. Avoid over packing the containers; use three to four sprigs of fresh herbs, 3 tablespoons of dried herbs, 1 to 2 cups of fruit or vegetables, or the peel of one lemon or orange per pint of vinegar to be flavored. If using fresh basil, ½ cup of coarsely chopped leaves may be used. Often it is preferred to “lightly bruise” the sprigs of fresh herbs to release the essential oils that produce flavor and shorten the flavoring process time. If using dried bay leaves, leave whole for easy removal. Cut a small slit into whole jalapeno peppers or peeled garlic cloves. Wear plastic gloves when working with peppers. Berries may also be “lightly bruised” prior to adding to containers. When using orange or lemon peel, thinly remove only the colored portion, avoiding the thick white underside. Try to cut the peel in a continuous or long spiral for easy removal later on. Heat measured amounts of base vinegar to just below the boiling point, or at least 190 to 195 °F. Pour the base vinegar over the flavoring ingredients in the prepared containers, leaving ¼ inch headspace. Wipe rims of containers with a clean, damp cloth. Place lids, corks, or screw caps tightly. Allow to sit undisturbed to cool. Deep pots are ideal for heating base vinegars to just below the boiling point. Allow pot to cool before handling. Alternatively, use oven mitts to safely pour warm vinegar over prepared herbs, fruits, vegetables, or spices to release flavor. Store prepared vinegar in a cool, dark place. Let sit undisturbed for three to four weeks. When the desired flavor is achieved, strain the flavored vinegar through a damp cheesecloth or coffee filter until the vinegar shows no cloudiness (remove skewers of vegetables or fruits first). Discard the strained herbs, fruit, vegetables, or spices. Clean cheesecloth draped over a funnel inserted into the mouth of a jar or bottle allows for easy pour and straining of the prepared vinegar. When straining, a gentle squeeze of the cheesecloth with collected debris releases the remaining liquid. Flavored vinegars can be transferred into decorative containers for a “finished” product. Prepare decorative containers as above for final bottling steps. Pour the strained vinegar into the clean, sterilized containers and cap tightly. A few clean berries or a washed and sanitized sprig of fresh herbs may be added to the jars before sealing, if desired. A Note about Checking Flavors: At least 10 days are required for most flavors to develop, but three to four weeks may be necessary for the greatest flavor extraction. Desired flavors are a matter of personal taste. Crushing, ‘bruising”, or chopping fruits, herbs, and vegetables prior to use can shorten the flavoring process by about a week or so. To test for flavor, place a few drops of the flavored vinegar on plain white bread and taste. If the flavor has developed to a desirable level, strain the vinegar and continue as above. If flavors seem too strong after the standing time and straining, dilute the flavored vinegar with more of the base vinegar. Store flavored vinegars in a cool, dark place. Refrigeration is best for retention of freshness and flavors. Date the containers when opened. Always keep vinegar containers tightly sealed. If properly prepared and bottled, flavored vinegars should keep for up to three months in cool storage. Fruit vinegars in particular may start to brown and noticeably change flavor. Refrigeration of flavored vinegars may extend the quality for six to eight months. After six months, taste test the vinegar before using to make sure the flavor is still good. If a flavored vinegar ever has mold on or in it, or signs of fermentation (bubbling), cloudiness or sliminess, throw it away without tasting or using any of the vinegar for any purpose. Discard any vinegar showing signs of contamination. Flavored vinegars are often displayed on sunny windowsills and shelves as decorative room additions. If stored in this manner for more than a few weeks, the vinegar should be considered a permanent decoration. Do not use it in food preparation. Herbal-Mix Vinegar: For each pint of distilled white or wine vinegar, make a bouquet from three sprigs each of fresh parsley, rosemary, and thyme. Lightly crush and place in jars. Fresh Tarragon Vinegar: For each pint jar of distilled white or white wine vinegar to be flavored, use three 3-inch springs of fresh tarragon or 1 cup of fresh tarragon leaves and stems. Lightly crush before placing in jars. Variation: Also add ⅓ cup minced fresh chives to each pint of vinegar. Spicy Parsley Vinegar: For each pint jar of distilled white vinegar to be flavored, use three to four sprigs of fresh parsley, ½ teaspoon whole mustard seeds, and ½ teaspoon whole allspice. Raspberry Vinegar: Wash 2 cups of fresh raspberries gently, but thoroughly. Bruise slightly with the back of a spoon or by rolling gently in waxed paper. Place raspberries in a sterilized quart glass canning jar. Heat 3 cups of vinegar to just below the boiling point and pour over the raspberries. Cap tightly and allow to stand two to three weeks in a cool, dark place. Strain vinegar through damp cheesecloth and discard fruit. Pour vinegar into clean, sterilized glass jars or bottles. Seal tightly. Store in the refrigerator for best quality and flavor. This is especially good in dressings for mixed greens or fruit. Lemon-Dill-Peppercorn Vinegar: For each pint jar of white wine vinegar to be flavored, use the spiral peel (colored part only) of 1 lemon, 4 sprigs of fresh dill, and ½ teaspoon whole black peppercorns. This is especially good in marinades for fresh seafood or salad dressings. Variation: Use ¼ cup chopped fresh mint instead of dill and peppercorns to add a mint flavor to fresh fruit. Wide mouth jars or bottles allow for easy access during the processing phase. Finished flavored vinegars can be “dressed up” by transferring the vinegar to a more presentable container. Remember: Sterilize all containers before use and make sure there is a good seal. Vinegar and oil may separate. Give a through shake before use. For a simple salad, lightly toss 3 cups mixed greens (washed) with 2 ounces crumbled feta cheese, 2 tablespoons toasted slivered almonds, and 2-4 tablespoons of the following vinaigrette. Combine ingredients in a sterilized, sealable container and shake. Rosemary Lemon salad stands alone, can be paired with fresh fruit, or makes a great side salad. Reynolds, Susan and Paulette Williams. So Easy to Preserve, Bulletin 989. University of Georgia Cooperative Extension Service. Fourth edition revised by Elizabeth Andress and Judy Harrison (1999).